In 2012, Dallas Kids First created the first-ever of its kind Candidate Scorecard for the Dallas Independent School District (DISD) Board of Trustee candidates running in the 2012 DISD Board Election. The goal was to provide voters with insight and visibility into the leadership experience, mindset, and perspective that each candidate brought to the table -- especially given the immense responsibility they carry if elected as school board trustee. DKF candidate scorecards were designed to give voters a recognizable candidate benchmark via a well-rounded assessment of each candidate's ability to positively affect students served by the District. Each year, the Dallas Kids First team incorporates the latest research for the evaluation of candidates in the endorsement process. Below are the considerations used to vet the 2018 candidates. Does the candidate have transferable, proven, and relevant organizational leadership skills suitable for the size and complexity of DISD? Does the candidate bring a leadership perspective that is missing from board and would add value to the board? Does the candidate have experience working with diverse populations? Is the candidate clearly anchored by a focus on improving student outcomes? Does the candidate focus on student outcomes through their policy-setting, budgetary priorities, and evaluating school performance? Will student outcomes unequivocally drive the candidate’s decision making, or will non-student factors play a disproportionate role? Does the candidate approach Dallas ISD’s student outcomes challenges with a sense of urgency? Does the candidate have a tangible action plan for improving DISD performance across each district and take responsibility for current accountability tool, Lone Star Governance? Does the candidate share goals for partnering with the community on problem-solving and policy-setting that improve the District? Does the candidate share ways in which he/she values listening to and working with diverse perspectives and populations? Does the candidate fundamentally understand Dallas ISD student challenges and have knowledge of successes from other districts, states, or countries to providepotential solutions? HOW DOES DALLAS KIDS FIRST MAKE A CANDIDATE ENDORSEMENT DECISION? Dallas ISD's challenges affect the entire community, which means solutions must come from the community. In 2017, more than 175 community volunteers (DISD parents, graduates, teachers, and principals) actively participated in the candidate endorsement process. But, what does that look like? Candidate Questionnaire Development & Submission: Community members, alongside the Dallas Kids First team, generate a candidate questionnaire. Candidates complete the questionnaire and Dallas Kids First publishes online for all to read. Evaluation Rubric & Community Panel: Various community members then come together to align on a shared evaluation rubric to use during candidate interviews. All candidates are invited to be interviewed by the community panel to be considered for an endorsement. Candidate Scorecard: After consolidating notes from the questionnaire responses, community panel feedback, and other publications or resources that give context for the candidate, the Dallas Kids First team generates a candidate scorecard. Online Community Survey: All community members who are on the Dallas Kids First email list receive the candidate scorecards and are asked to share their opinion on the strengths, areas of growth, and vote for endorsement for each candidate. Campaigning: Once the Dallas Kids First has received the community’s feedback for an endorsement, the team shares the final decision with the candidate and begins supporting the candidate’s campaign. what does an endorsement mean for a candidate? One of the greatest value-adds our Dallas Kids First team provides is the support of the CAMP Fellowship (Campaign Activity and Management Program). 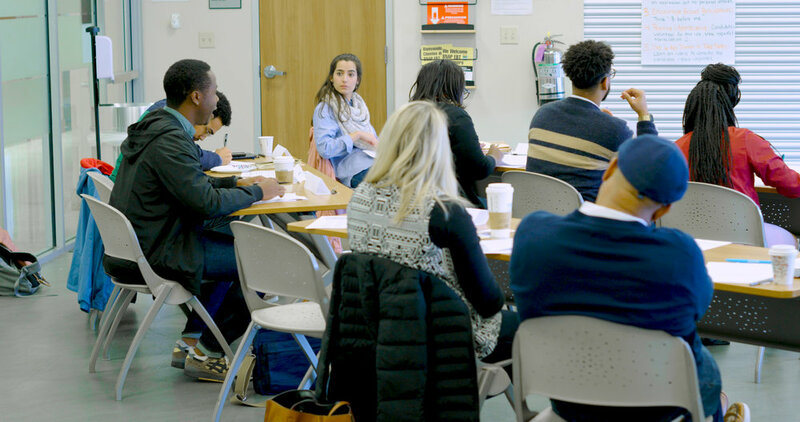 Under the direction of John Hill, this program is designed to equip community leaders with the skills necessary to support political campaigns, in particular as it relates to education in Dallas. Besides knocking on thousands of doors in a short window of time, the Dallas Kids First team shares its seven years of campaign experience with the candidate and serves as a thought-partner for the candidate’s existing campaign structure. In addition, DKF will discuss with an endorsed candidate where support could be beneficial - whether it’s volunteers, mail, phone outreach, candidate forums, or social media to support the election of the candidate. So far, six of the nine current Dallas ISD School Board Trustees have received an endorsement from Dallas Kids First. Important note: To ensure that every stakeholder's voice is heard, any member who donates more than $200 cannot vote on DKF endorsements. Donors are much appreciated in ensuring this political advocacy can continue, but they do not participate in the endorsement process.